Trump tweets about GOP senator who said he hadn't shown "stability"
President Trump responded to a GOP senator's recent criticism of him with a Friday morning tweet. Strange statement by Bob Corker considering that he is constantly asking me whether or not he should run again in '18. Tennessee not happy! The "strange statement" seemed to be a reference to Tennessee Republican Sen. Bob Corker's comments last week that Mr. Trump hasn't not shown some of the core qualities needed to be an effective president. "The president has not yet been able to demonstrate the stability nor some of the competence that he needs to demonstrates in order to be successful," Corker said just over a week ago. Asked about Corker's comments Thursday, White House press secretary Sarah Huckabee Sanders said, "That's a ridiculous and outrageous claim and doesn't dignify a response from this podium." 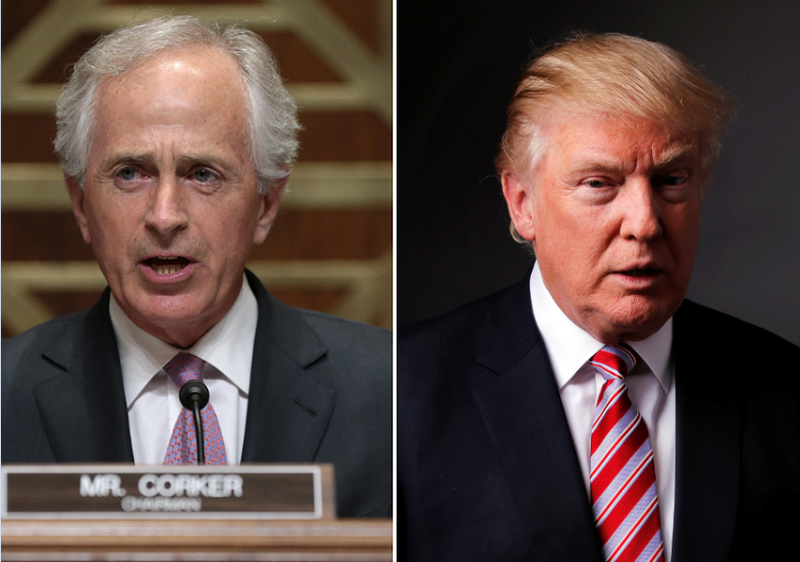 Corker, first elected to the Senate in 2006, has not yet announced whether he'll run for re-election in 2018, which the president alluded to in his tweet. Mr. Trump has been attacking another GOP senator up for reelection in 2018, Sen. Jeff Flake, of Arizona, calling him "weak on borders, weak on crimes." The president praised Kelli Ward for entering the GOP primary against Flake, saying it was "Great to see" that she was running against him, and he also reportedly met with other potential challengers earlier this week in Phoenix. CBS News' Katiana Krawchenko contributed to this story.